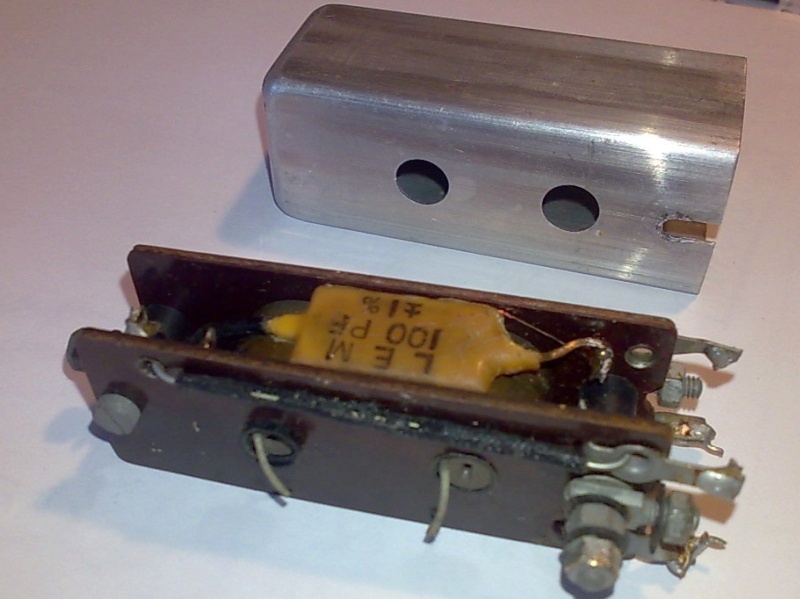 The following are some diagrams, photographs and measurements (dimensions and component values) of three types of antique valve Intermediate Frequency Transformer. All are for 450-470 kc/s: a usual IF frequency was 465 kc/s (kHz), for example. 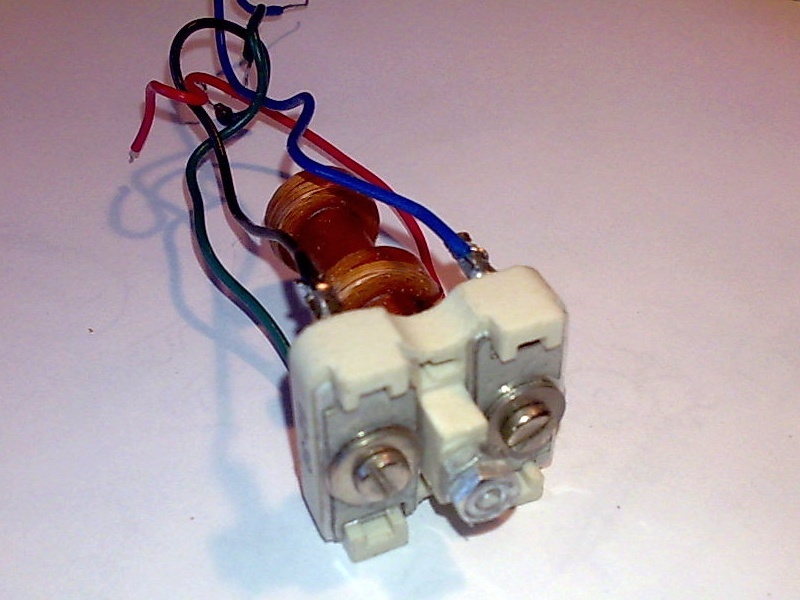 These old IF transformers are hard to find now, so this information might help anyone who is keen to build their own. With regard to homebrewing your own IF transformers, I think the third type (Miller) below might be easiest to homebrew. That's because there are no adjustable cores. Think about a ferrite rod, with the two cores wound on it, and their spacing adjusted for the right coupling. Then trimmer capacitors to adjust the resonance. Nice and easy: you can separately adjust the resonances of the two coils, without bothering with any complicated arrangements with two different cores etc. This is what I think of as a typical IFT. It is ex-equipment and the inductor valuses are offset slightly, as would be tuned in a receiver for optimum passband response. 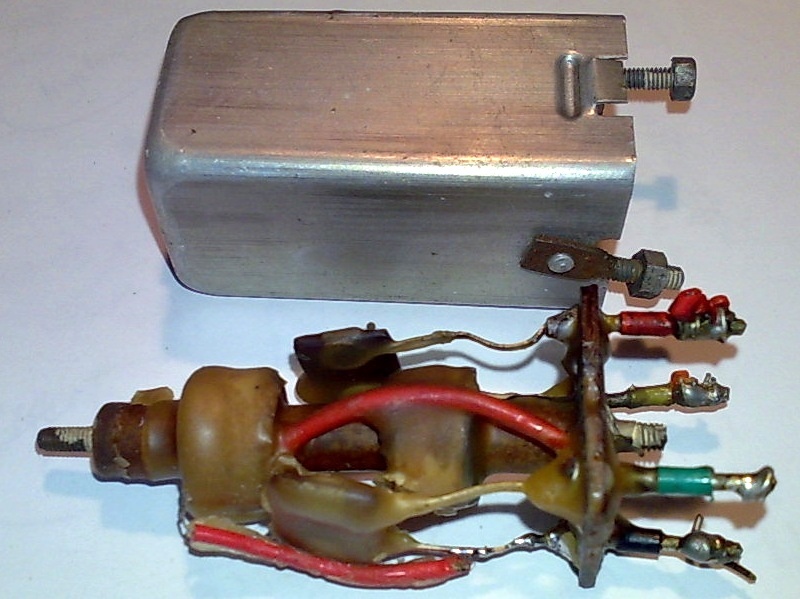 Note the cores on each coil are separately adjustable and the capacitance values are fixed. This one is also ex-equipment (notice similarly offset resonances). I like this one, it's unusual because the inductors are not axially in line, they're next to each other with their axis parallel. I think this makes a great deal of sense from an adjustment point of view! You could adjust both coils from above the chassis. Otherwise, one coil above the chassis and one below, is tricky! 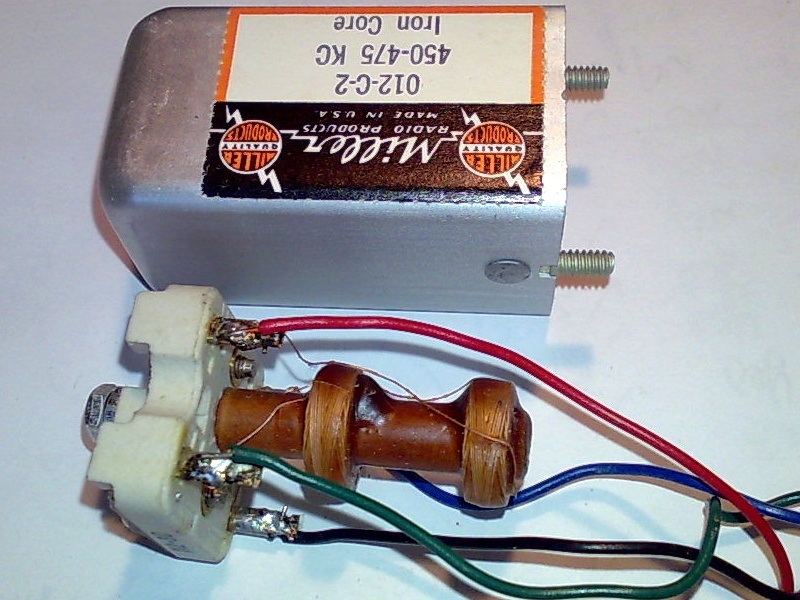 Here is a new Miller IFT, one of four which I bought in the magnificent Dayton hamvention flea market, for an all-valve ommunications receiver design which I am building. This one doesn't have adjustable cores at all, instead the capacitors are trimmers (not fixed). This is nicest from the adjustment perspective as the adjustments are in the top of the can, so would be really easy to adjust while in the radio. Even easier than the side-adjustment case!